Almost 90% of marketing executives say that understanding user journeys across channels and devices is critical to marketing success. Today’s customers have incredibly high expectations for personalized and relevant experiences from brands. That’s why Google Analytics keeps working to better measure the full customer journey in all its complexity. 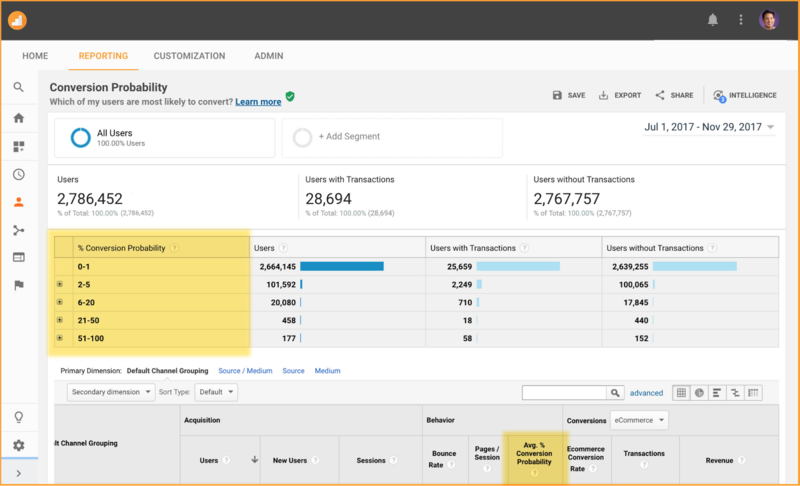 Let’s look at four new Analytics features that are all about helping businesses understand users so they can deliver more personalized site experiences and measure your users in Google Analytics. Analytics standard reports have been updated to focus on your users. User metrics are an essential way to understand engagement with your customers, especially those who may have multiple sessions across multiple days. With our updated standard reporting, you can see immediately, for instance, how many users are coming to your site from paid search ― in addition to seeing the number of sessions. Users are now included in Analytics standard reports.To enable this update, sign in to your account and go to Admin > Property Settings and then choose the toggle switch labeled Enable Users In Reporting. For other ways to analyze by user, try existing reports like Active Users, Cohort Analysis, and Lifetime Value. In case you’re wondering, session metrics will continue to be available in standard reporting ― that’s not changing. Learn more about audience reports. Another tool that marketers can use to analyze visitors on an individual level is User Explorer. And now we’ve added something new: lifetime metrics and dimensions for individual users (based on the lifetime of their cookie). These new metrics and dimensions will give Analytics users a much more detailed way to measure visitors and customers and deepen your ability to Measure your users in Google Analytics. 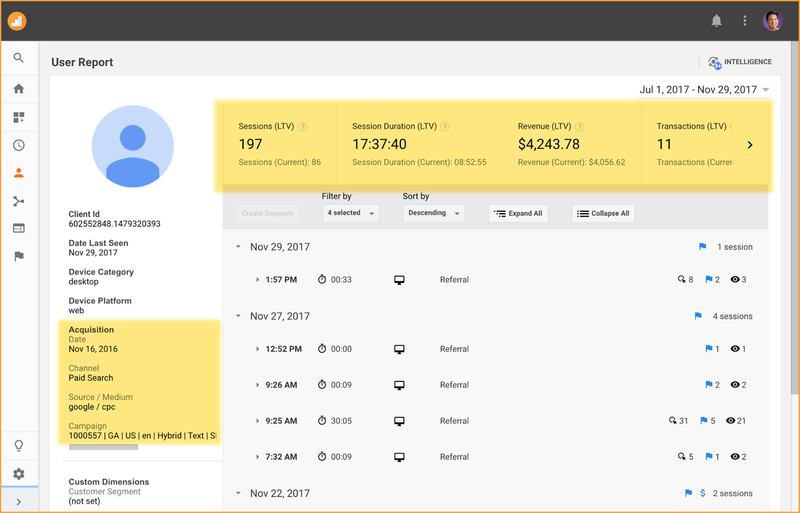 New lifetime metrics and dimensions for individual users in User Explorer.For example, you can look back and see the total amount of time an individual user has spent or the total number of transactions an individual user has made on your website. You’ll also see new dimensions that show data such as when a user made their first visit to your site and which channel acquired them.The new lifetime metrics and dimensions are already available in your Analytics account. Learn more about User Explorer. Audiences report and see a cross-channel view of the audiences you’ve created in Analytics. This is a change from the past, where you could create audiences in Analytics and export those audiences to other products like AdWords, but you weren’t able to publish audiences to Analytics for reporting.For instance, you might decide to publish an audience to Analytics so that you can see all users who have purchased within the last 12 months but not during the last 2.You can find the new Audience report in your Analytics account. Learn more about Audiences in reporting. Meet our newest metric: Conversion Probability. It takes user-based metrics one step further to show you just what the name suggests: the probability that a given user will convert in the future. The calculation is based on a machine learning model that learns from users who have made transactions in the past. The advantages are clear: Marketers can create remarketing lists that target users who have a high likelihood to purchase and then reach those users through either advertising campaigns in AdWords and DoubleClick or site experiments in Optimize.We are also adding a new Conversion Probability report. This report will show you the Conversion Probability for all your users, including across important dimensions such as channel. The new conversion probability report. This new feature from Analytics Intelligence is the first forward-looking estimate of how likely a conversion is for individual users. 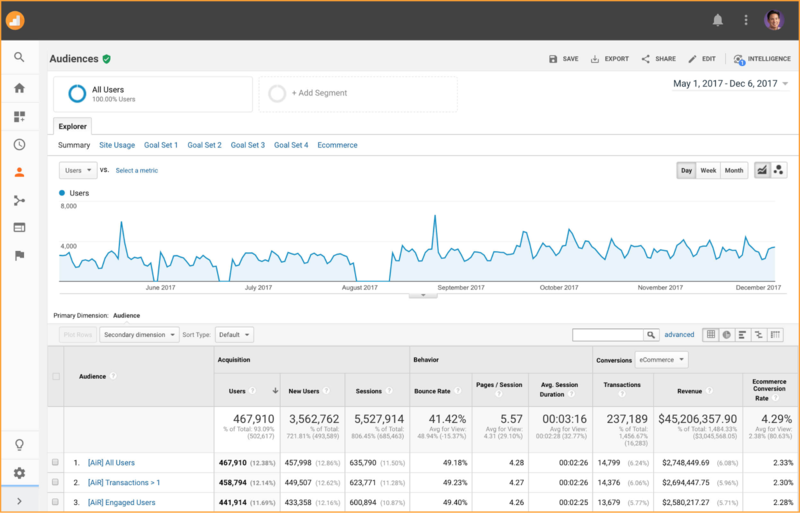 It’s rolling out in beta to all Analytics accounts over the next few months. Learn more about Conversion Probability. 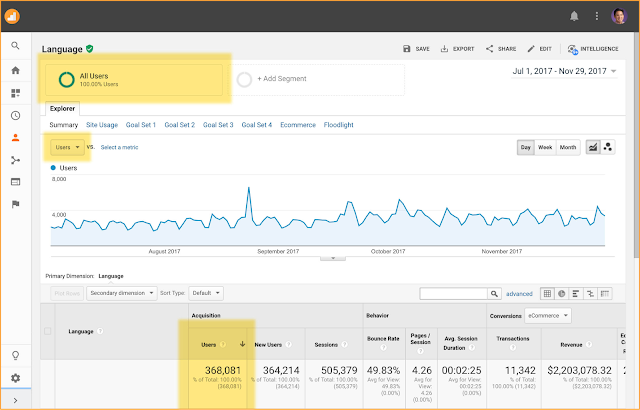 These four new enhancements will help you better measure your users in Google Analytics – and what they are doing on your site, so that you can create better experiences for them.